Winning ‘Best Honey in London’ has made me very proud. Not that it’s been especially easy to get to this point. After doing my training with Capital Bee towards the end of 2011, I finally got my hive and bees in May 2012. The hive is in Cordwainers Garden, the community garden that my good neighbour and friend, Kate, and I started the previous year. We kept the bees, with a few stings along the way, through harsh winters, wet summers and a suspected (but thankfully not) bout of the very scary European Foul Brood. 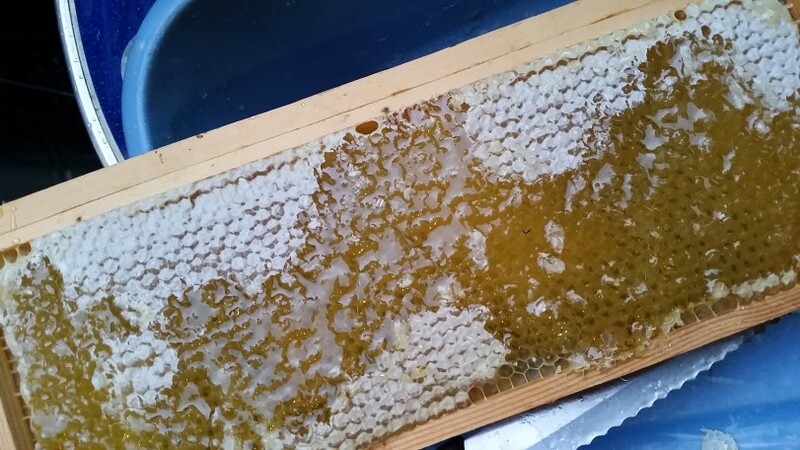 After more than two years, in 2014 they rewarded us with a crop of beautiful straw-coloured honey. According to the experts among my friends, it was really excellent. We even put a little into our soap, along with some beeswax for added softness.